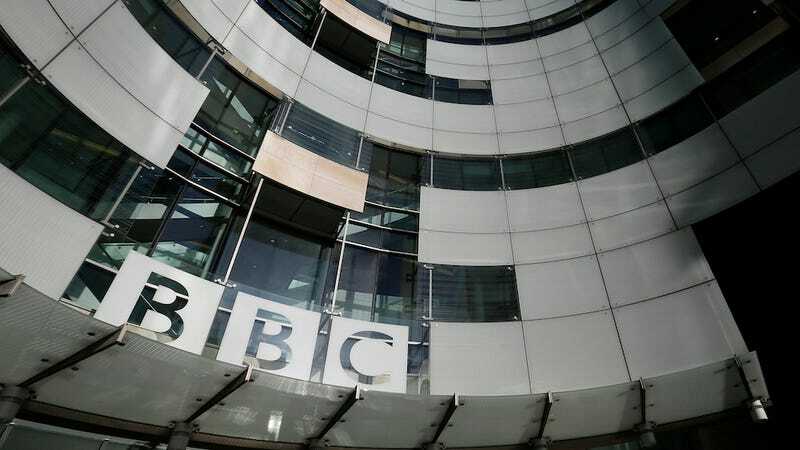 BBC Trust, the body that governs the BBC and "guardian of licence fee revenue" has just appointed Rona Fairhead as its very first chairwoman nearly four months after Lord Chris Patten stepped down from the position. Exciting, right? Well, apparently, it's crucial for us to know one thing before acknowledging any of her accomplishments: that she has three kids. Sigh. She has served on the boards of a number of multinational companies including, currently, HSBC and PepsiCo and has held leadership positions with plane and train-maker Bombardier, and in chemicals at ICI, where she was executive vice president of strategy and group financial control. She later moved to the world of newspaper publishing, joining the Financial Times Group, where she worked as chairman and chief executive for seven years until 2013. Despite all of her accomplishments (including becoming a CBE in 2012), the Telegraph's print edition chose to define her as something else entirely in their headline—a mother. And readers were not too pleased. A "married mother of three," huh? Just wow. Yes. She, like plenty of other executives, is a parent. But how many times do we see a headline about a male executive that defines him as a father? Why do people insist that a woman's greatest achievement will always be motherhood, and why do we never insist the same about a father? Why do we assume that career success and having a family are mutually exclusive? These are just some questions to think about this lovely Sunday. Anyway, congratulations to Fairhead on her latest accomplishment.